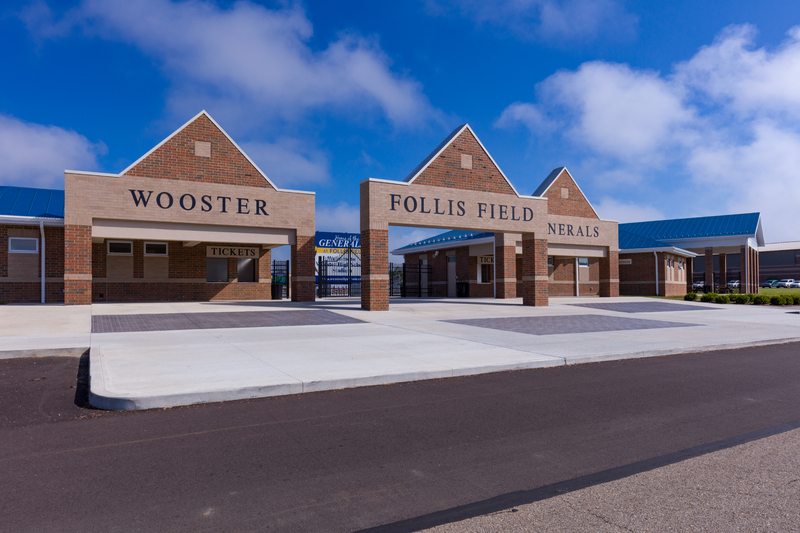 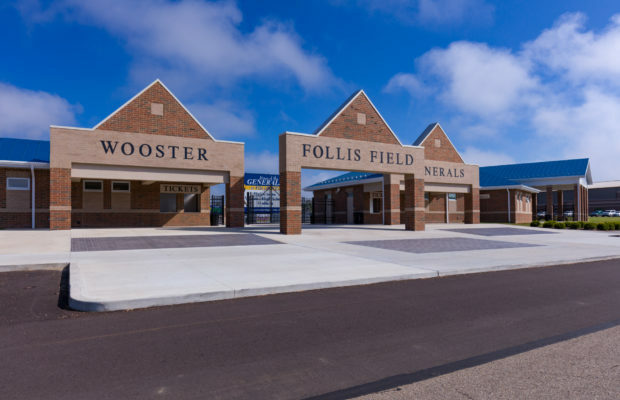 Follis Field - Wooster City School District | BSHM Architects, Inc.
Wooster City School District hired BSHM at the January board meeting of each new year for the District’s various construction improvement projects for the upcoming year. In 2014, BSHM’s work included Phase I of the District’s stadium facility. 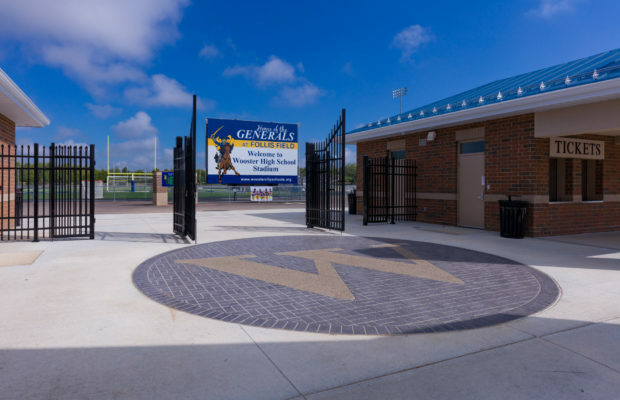 The $1,200,000 project included installation of a new all-weather track to reconfigure the track to an equal quadrant layout, the installation of a new artificial turf field and relocation of the visitor’s grandstand. 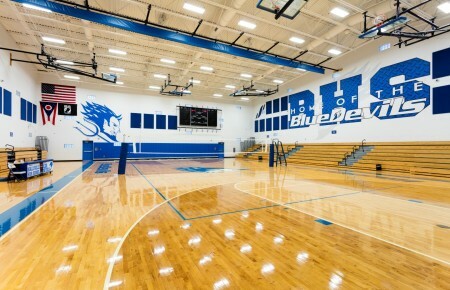 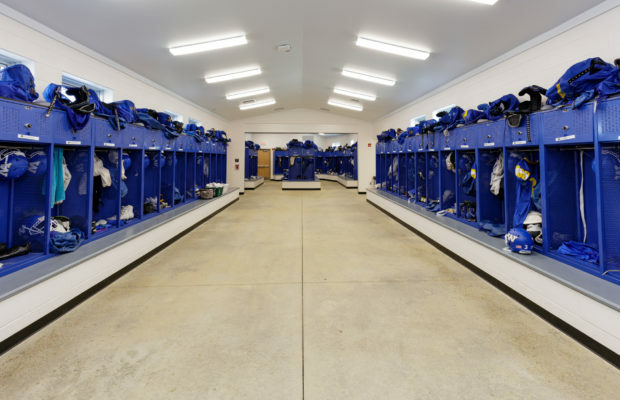 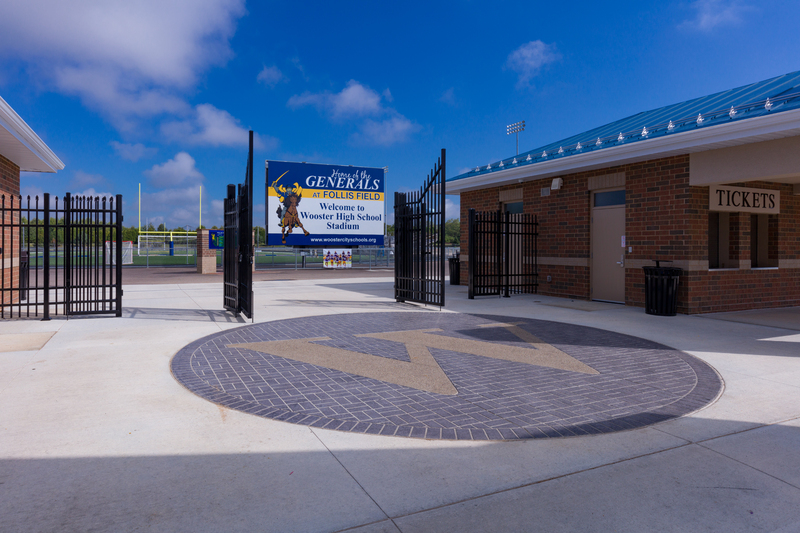 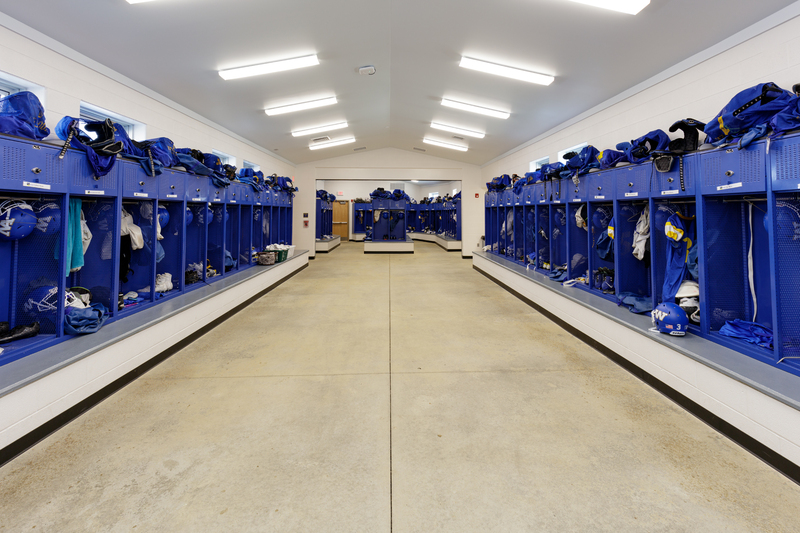 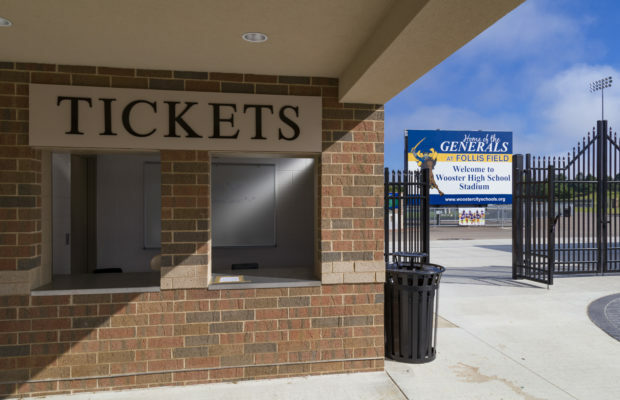 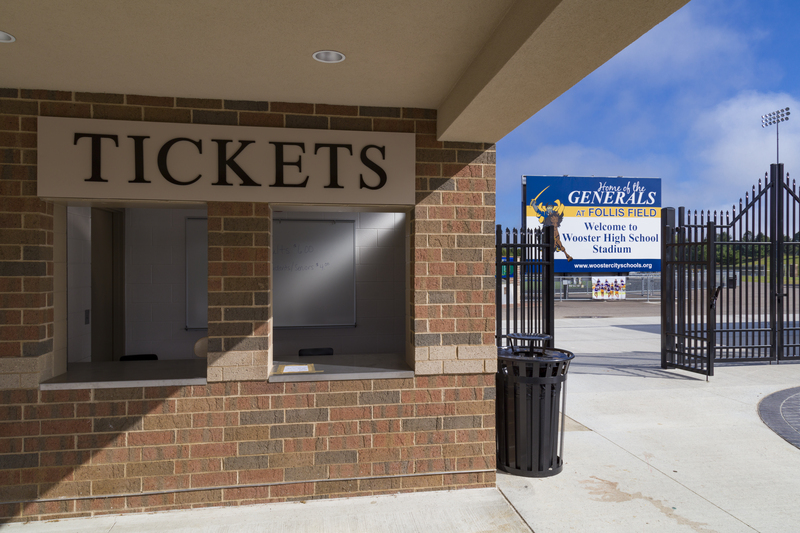 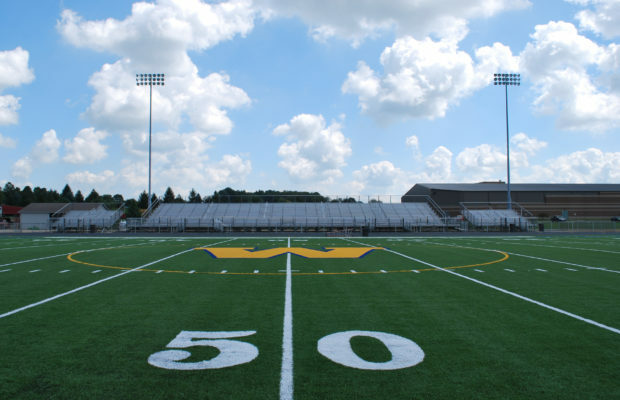 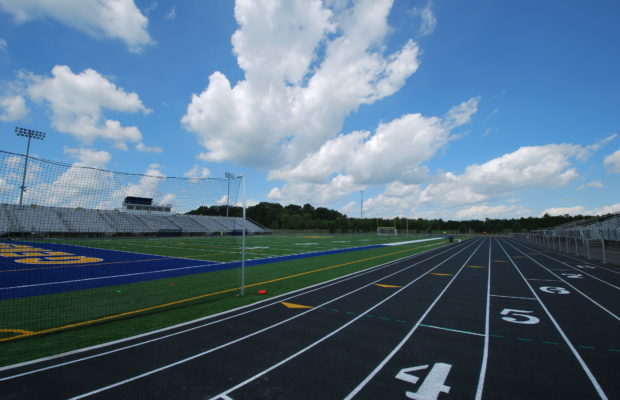 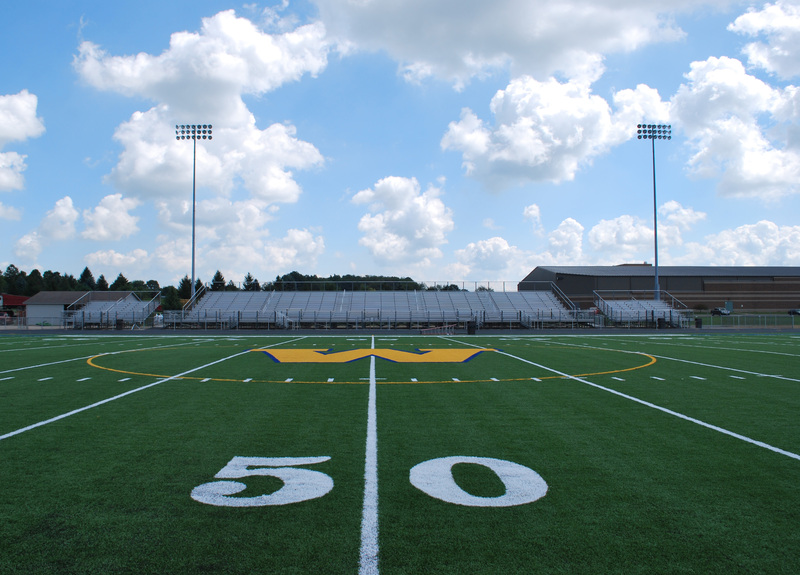 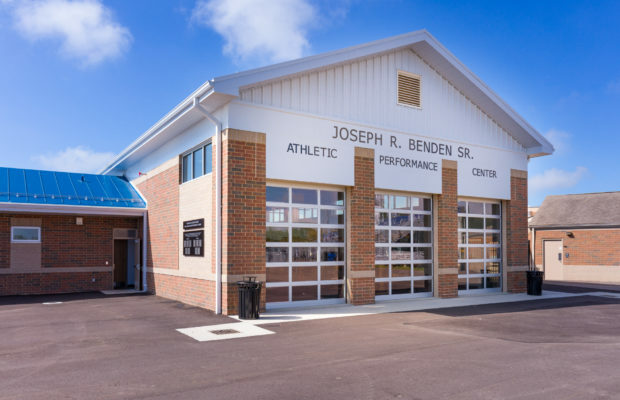 In 2015, BSHM was again retained by Wooster City Schools for Phase II of the stadium, which includes the replacement of the existing press box with a new two- story press box and selective site improvements of fencing and paving. 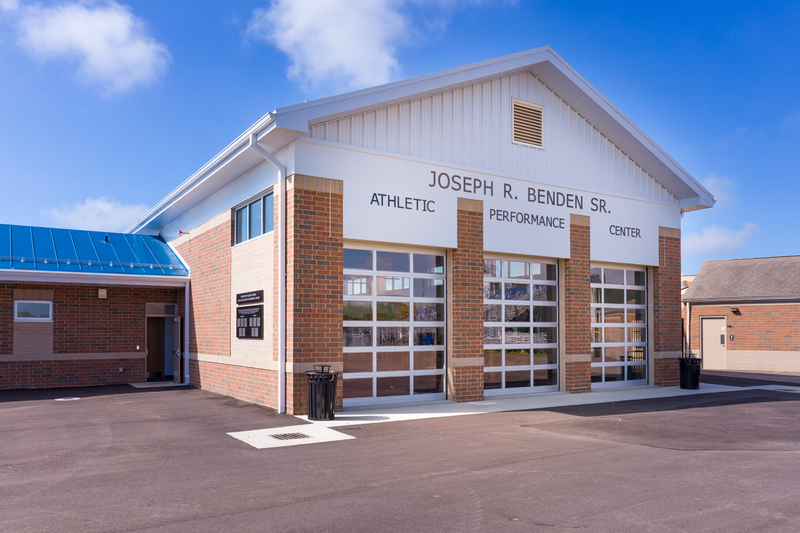 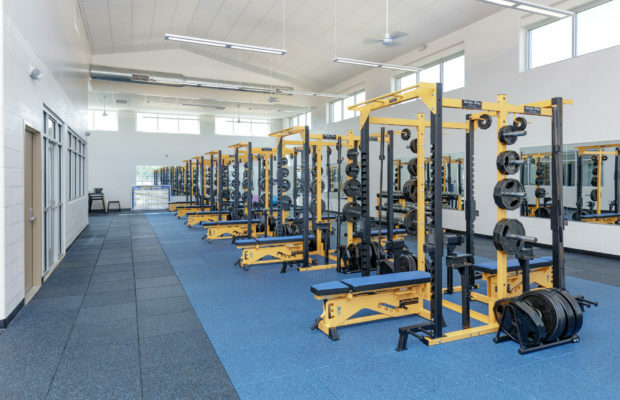 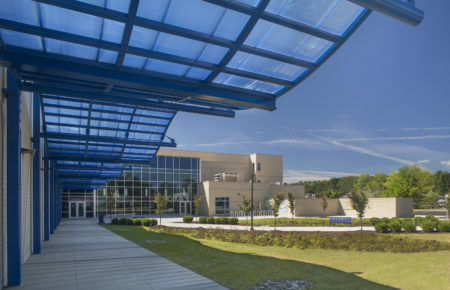 Phase III in 2016 provided new weight room and locker rooms, as well as a new stadium entry plaza.